But sure not the traditional. Not sure if this actually qualifies for cheeky, but wanted to show some shots of my current Christmas decor in my apartment. Won’t break down to get a big tree til I move again, maybe next year. I’ve been ill most of the time since before Halloween. It’s been a rough year for all of us I think. Purchased craft plank at Meijer. Found 3 images that fit perfectly for a sign. Painted the images traditional Christmas colors, glued on and varnished. Weekly Photo Challenge: Ornate (Oops!) It’s Late! Wanted to post a few photographs of some decorations I threw up this year in the tiny apartment I just moved to. I still have some decorations packed away I only realized when I started unpacking what I thought was all of my Christmas stuff. The rest has to be in my storage unit shoved in the back, so not looking for it this year anyway. I have a cute little area with lights that I can enjoy and that’s all I need for now. Besides this is one of the first years I’m not hosting my family for Christmas Eve, which I never post publicly anyway for everyone’s privacy. I may post a few more Christmas stuff later. 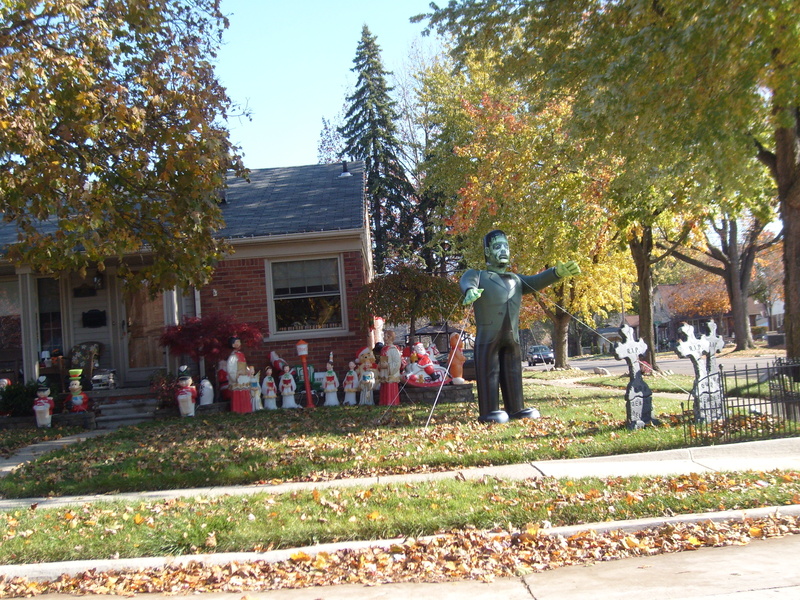 So glad I was not able to sell the tiny tree at the garage sale held right before I moved! I used to have two hand painted angels and then inherited the other two which were given to my sister after she sadly passed away right after the holidays in 2013, her favorite time of year. She was not expected to live to see that Christmas, but we all knew she’d hang on for it and she did! She actually rallied on Christmas Eve 2013 and I dared to believe that was sign but she wanted to go home and it was her time. Love you Gail! Sorry that I have been so lazy about posting anything of substance for a while now. The very reason for this blog was to share things I have learned living on the cheap all of my life. Christmas was great this year, had some family and friends over for Christmas Eve this year and went to one of my son’s homes on Christmas Day for “Dinner with the Cratchits” complete with plum pudding from England and some kind of “Hot Gin Punch a la Cratchit” which I blame for the enormous group hug before I left for the night. I didn’t try any but brought some with me to try when I got home. I never drink and drive. 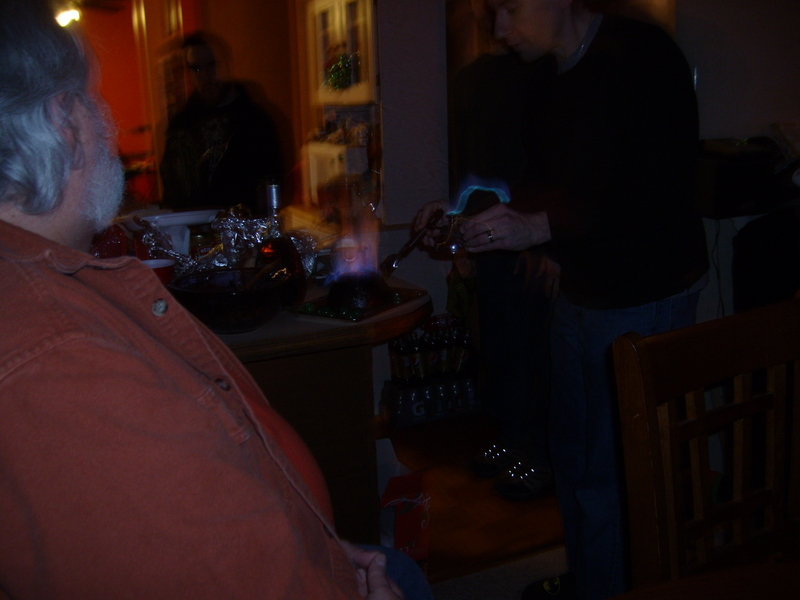 Lighting of the Plum Pudding! I lost one of my cousins a few days before Christmas this year. I am posting a picture with her from Christmas of 1957. Some of my family now live in the Upper Peninsula. My cousin Thelma passed this year after suffering for many years with Alzheimer’s and my sister Gail passed right after Christmas last year from esophageal cancer. 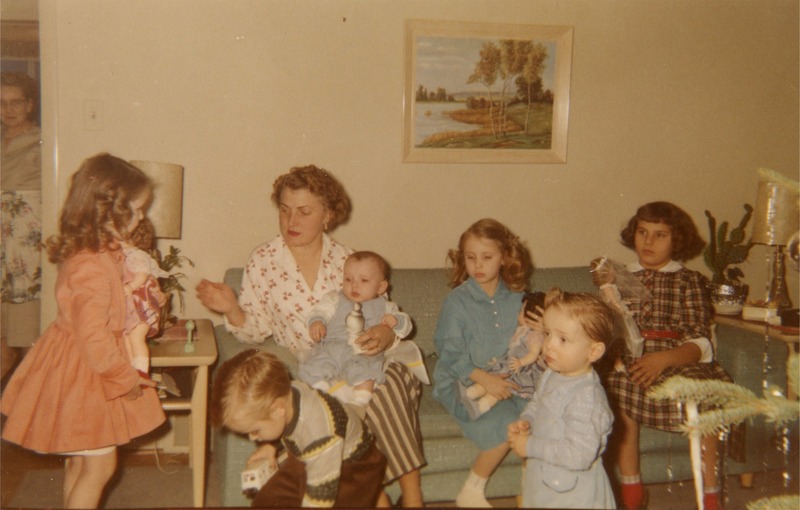 Christmas 1957 was the last Christmas for my Aunt Ruth who passed approximately six months later from Colon Cancer. Moral: Enjoy every Christmas like it’s your last. I saw this idea at a diner in Marshall Mi before the holidays. 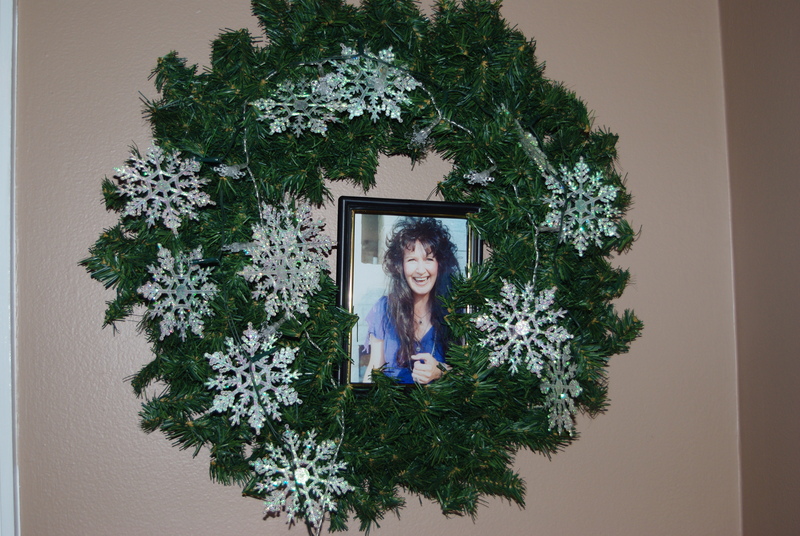 They had placed a loved ones picture in one of the wreaths to honor them and so I placed a picture of my sister to honor her because she always loved Christmas so much and this was our first Christmas without her. 2014 Casa Po’ Girl Christmas décor. Finally broke down and made a Santa doll with the pattern I purchased many years ago. Also used some of my odds & ends to make some “baby” crafts. I will not post actual pictures of the parties out of respect for others privacy. A few shots of some of the cookies that I and others made this year. One of my sons went all out this year and for the first time made cookies. All kinds of them. I think the Ninja sugar cookies got him started, but we really loved the melt in your mouth eggnog cookies! I have to say I have eaten so many of these I have actually felt very sick so that’s it for me. And I’m not referring to the rare overlap of Thanksgiving and Hanukkah that happened in 2013. Painted gold paint on small branches/twigs found in the yard. Inserted them with some 1/2 price Christmas sprigs from the home deco store into a vase. Wapped the branches with battery operated string of 35 lights. Placed the smaller gifts around the Christmas arrangement to finish the scene. You don’t have to purchase special Christmas decor for the mantle or buffet. I usually try to set up a centerpiece of some kind so I can place some of the smaller gifts around it in a decorative fashion. Looks all Christmassy until the gifts are given out, then who cares? 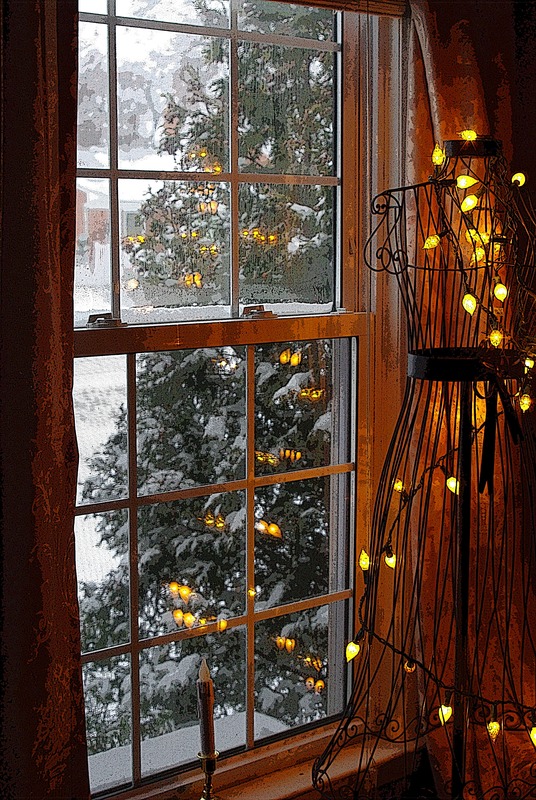 This is great to do if you don’t want to go to the trouble, expense or have the room for a full size tree.